The new, limited-edition watch is being launched to mark the second year of Michael Kors’ long-term partnership with the United Nations World Food Programme (WFP), an initiative dedicated to helping end world hunger. 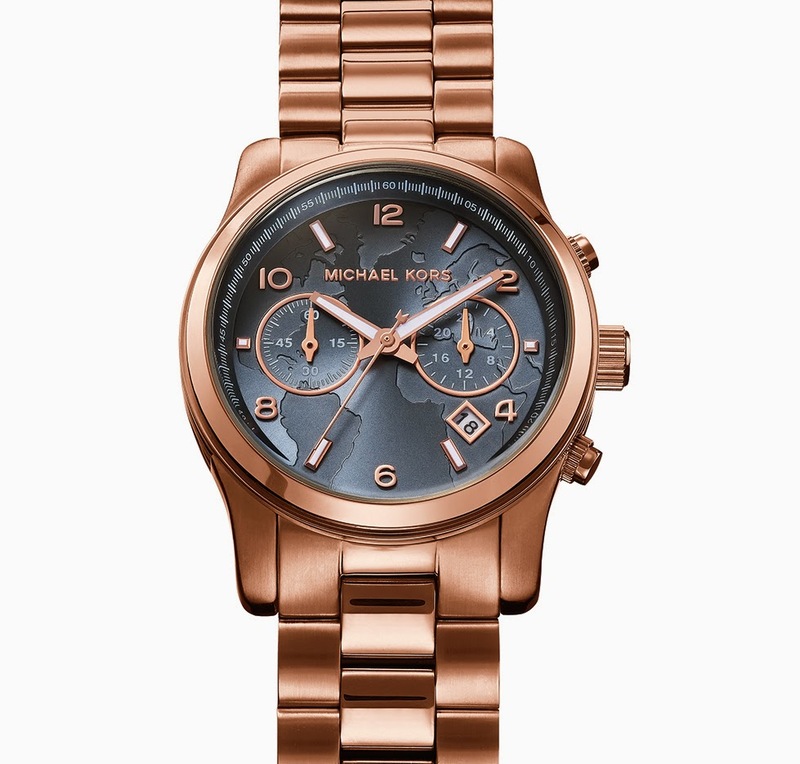 As with the other styles in the 100 Series, the new watch design is based on Michael Kors’ bestselling Runway watch, this time in rose gold-tone stainless steel with a detailed map of the world etched on a striking gray-blue dial. 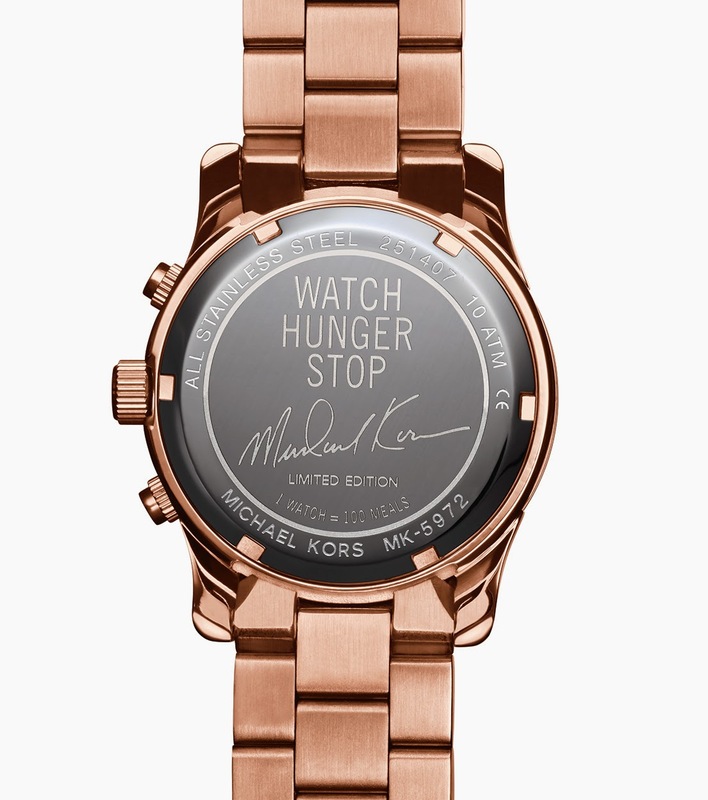 Michael Kors’ signature is engraved on the back, along with the campaign name, WATCH HUNGER STOP, and the messages “1 WATCH = 100 MEALS” and “LIMITED EDITION.” The unisex design is available in mid-sized and oversized versions and will be sold in specially designed packaging that highlights the goal to WATCH HUNGER STOP. While this watch is being produced in a limited edition, sales of the other watches in the 100 Series are ongoing and to date sales have generated enough to provide approximately five million meals. The new watch will be available exclusively in Michael Kors stores worldwide and online at michaelkors.com beginning in October 2014. It will retail for $295. * For every 100 Series watch sold, Michael Kors will donate US $25 to WFP. Please note that the WFP does not endorse any products or services. In the Philippines, Michael Kors is exclusively distributed by Stores Specialists, Inc. – a member of The SSI Group - and is located at The Power Plant Mall, Greenbelt 5, Rustan’s Makati, Shangri-La Plaza Mall and Newport.